In need of a quick but thoughtful gift? You can whip something like this together in an afternoon and it feels really special (at least I think so). Grab several gift gift certificates related to a theme. 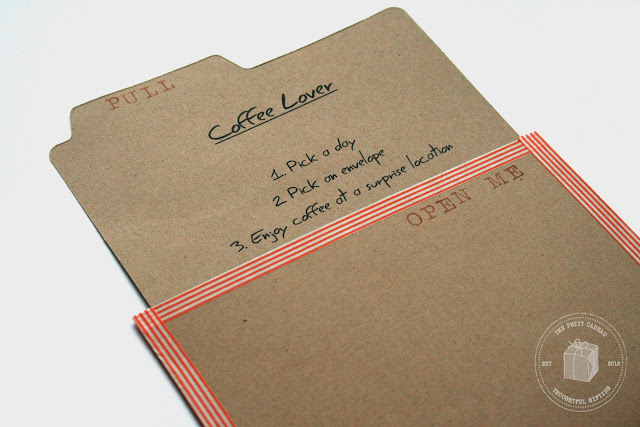 I chose "coffee lover" and picked up gift certificates for several local coffee spots. Pop each gift certificate into a handmade envelope (full tutorial for these envelopes coming in next week's post) and number each envelope. 1. Pick a Day 2. Pick an envelope 3. Enjoy coffee at a surprise location. 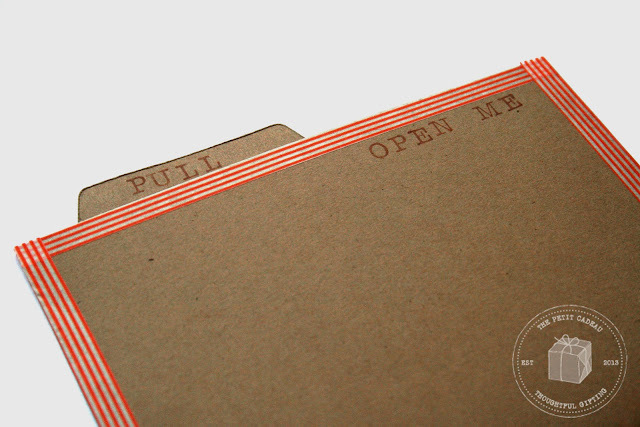 I used a die-cutter to create this cool pull-tab shape and dropped it down inside it's own matching envelope. 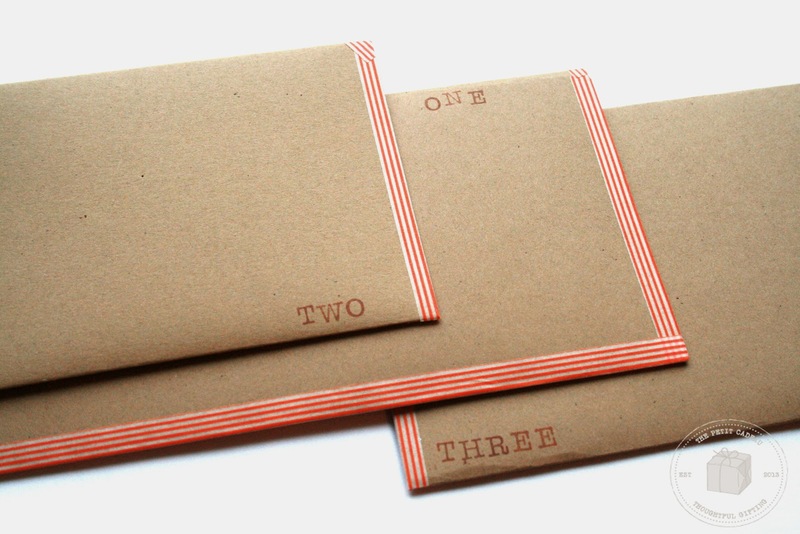 What type of gift cards or goodies would you put inside a set of surprise envelopes? 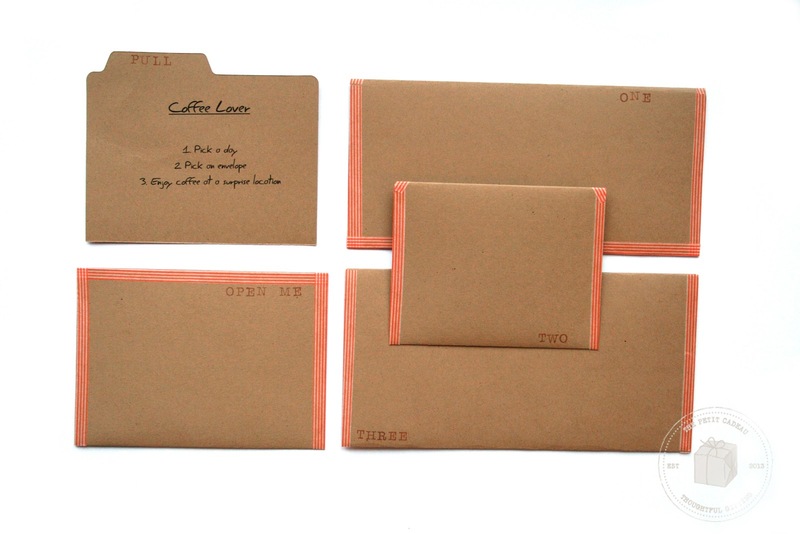 Next week I will share my step by step instructions for creating these easy-to-make custom envelopes.